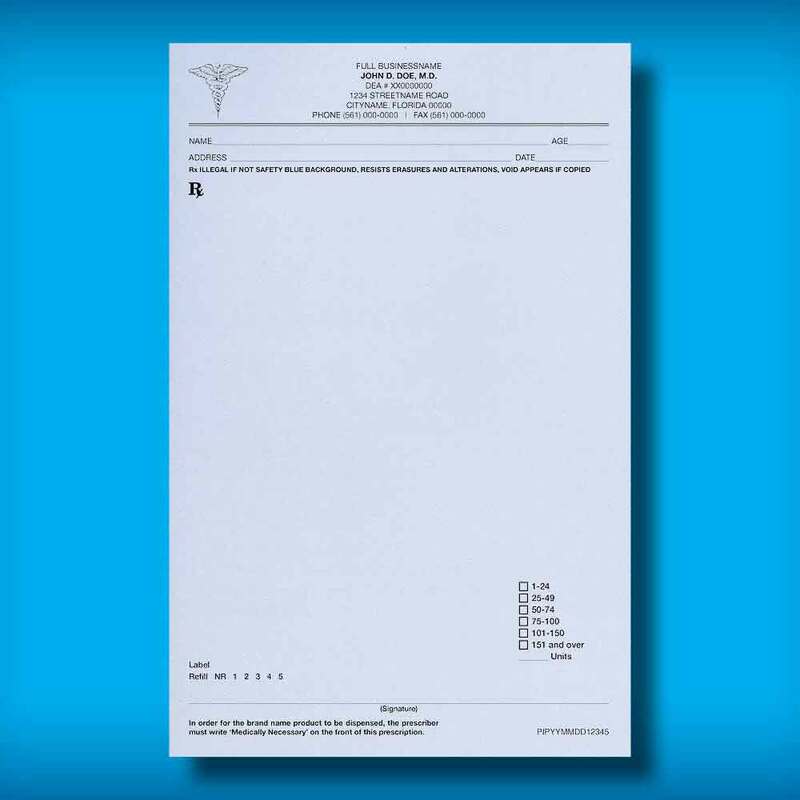 As a State approved Counterfeit-Proof prescription printing company, we are able to prepare all of your prescription needs quickly and accurately. We offer Free Delivery to Most Commercial locations from Delray Beach to Jupiter, and Express Next Day shipping anywhere in the state of Florida. 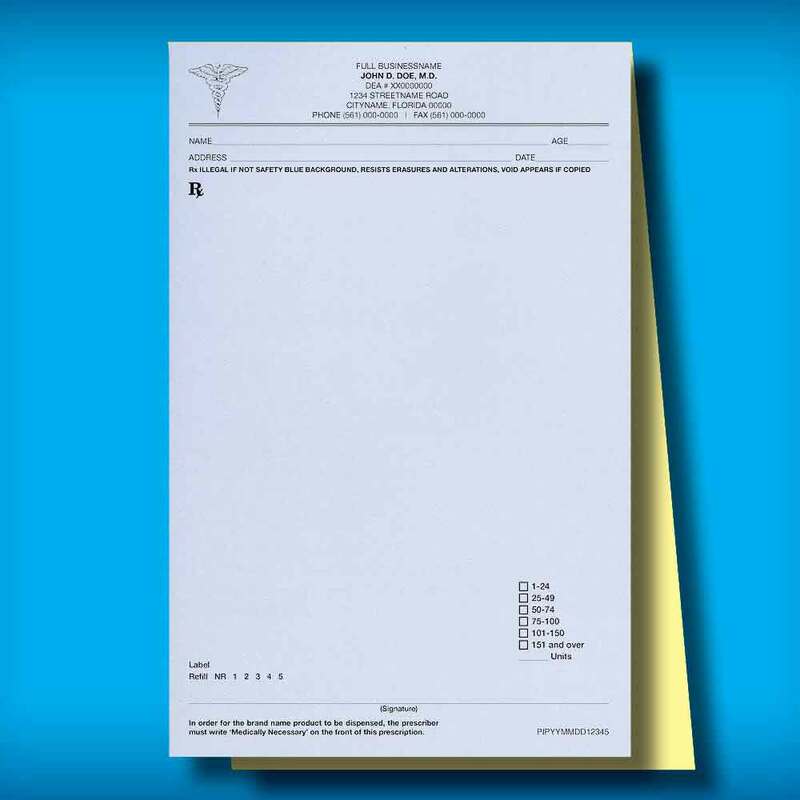 We have all types of one and two-part standard and secure prescription pads and laser sheets available for you to order. DO NOT BUY FROM A MIDDLE MAN. 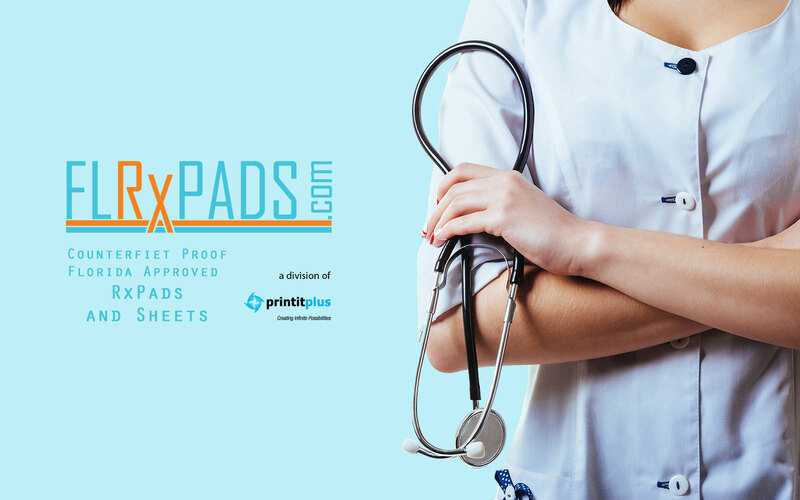 At www.flrxpads.com we ARE print manufacturers. 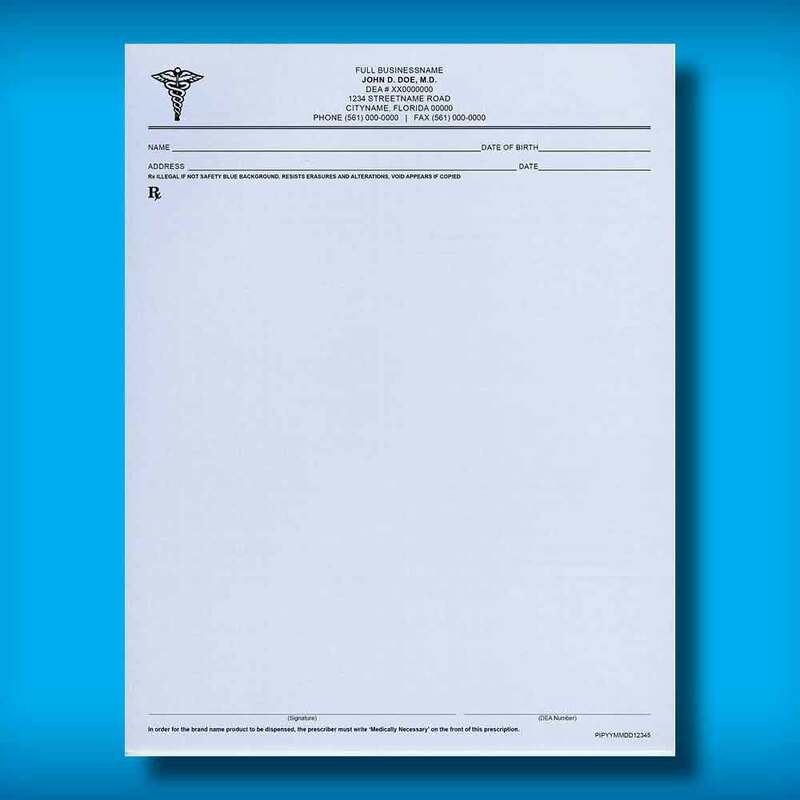 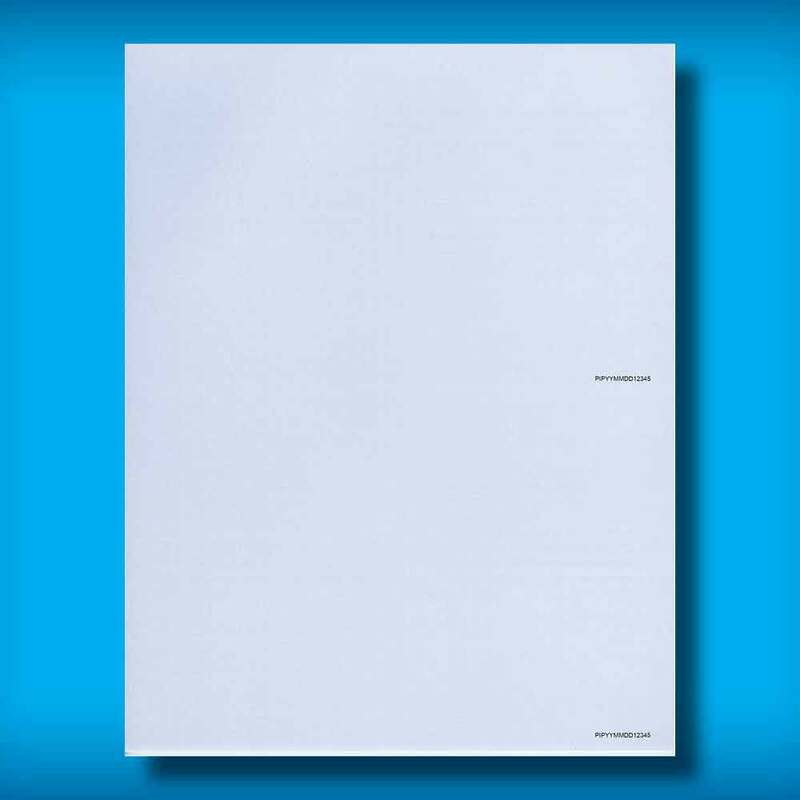 We have been in the commercial and medical print business for over 30 years, working with a number of the largest and most prestigious health care institutions and prescribers throughout the state! 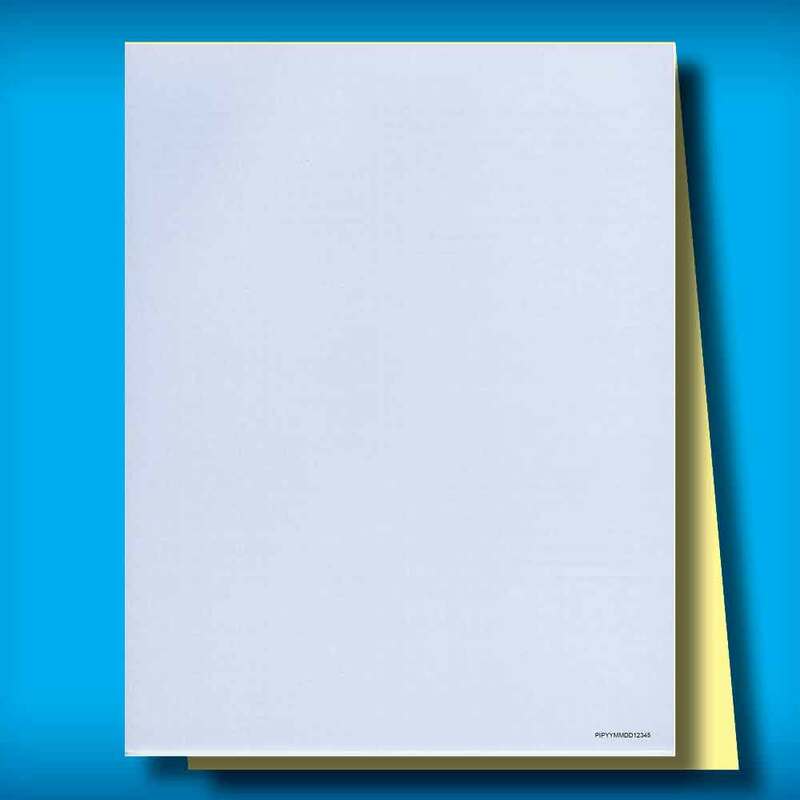 We prepare your pads and laser sheets the way you want them, print and ship all from our secure facility right here in Royal Palm Beach, Florida. 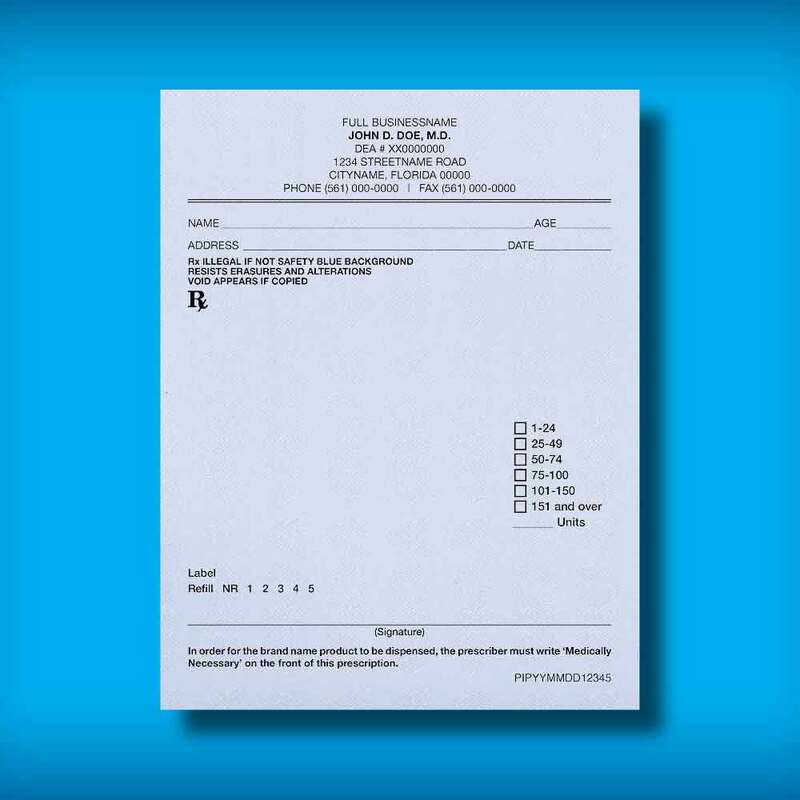 And you do not have to wait a week to get your Prescription Pads or Laser Sheets. 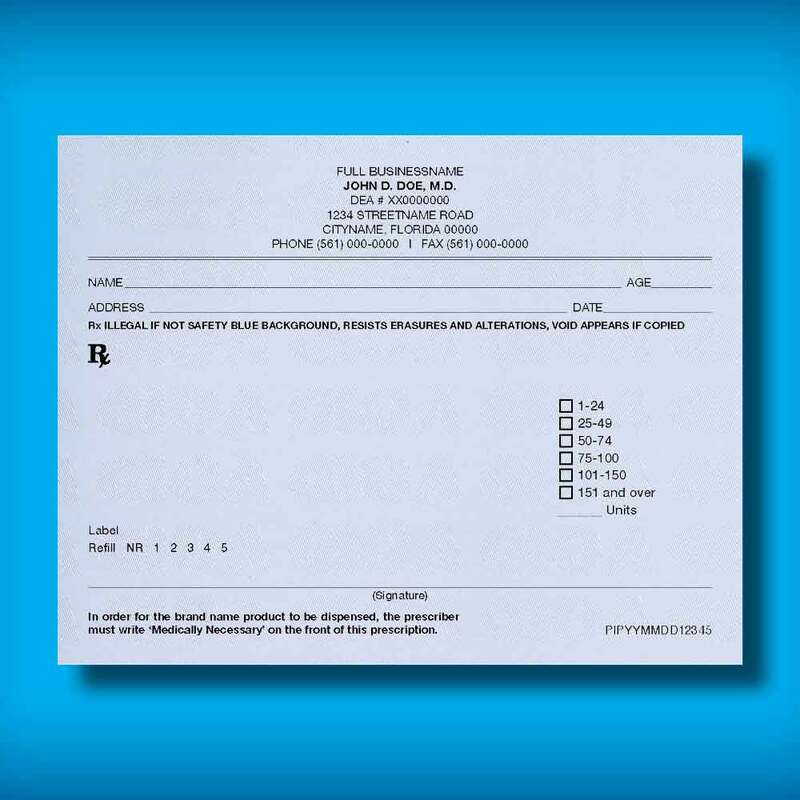 Get them as soon as the day after you approve the design or place your order! 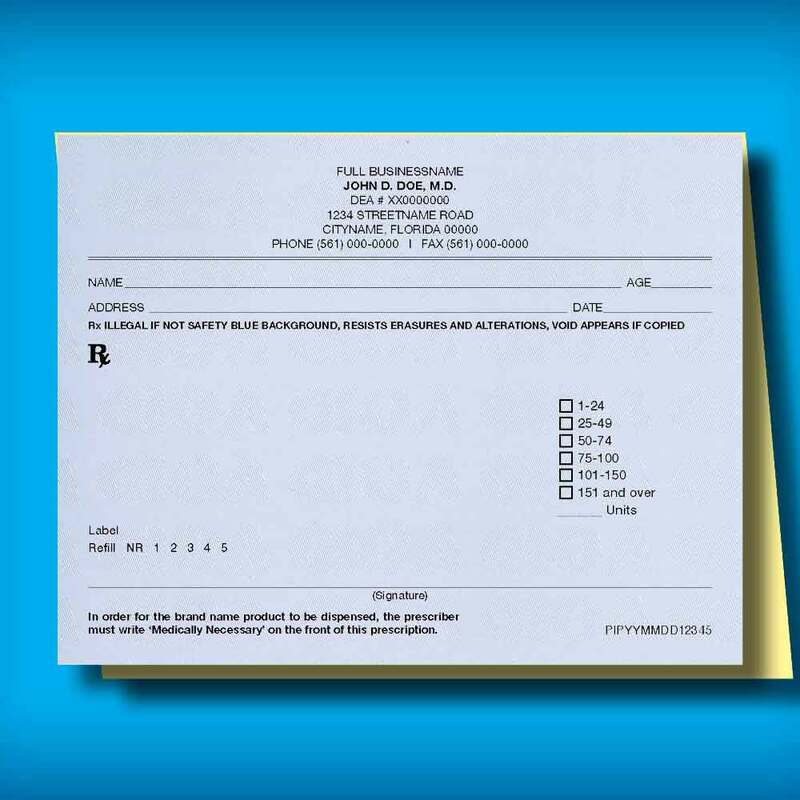 Call us for more information at (561) 790-0884. 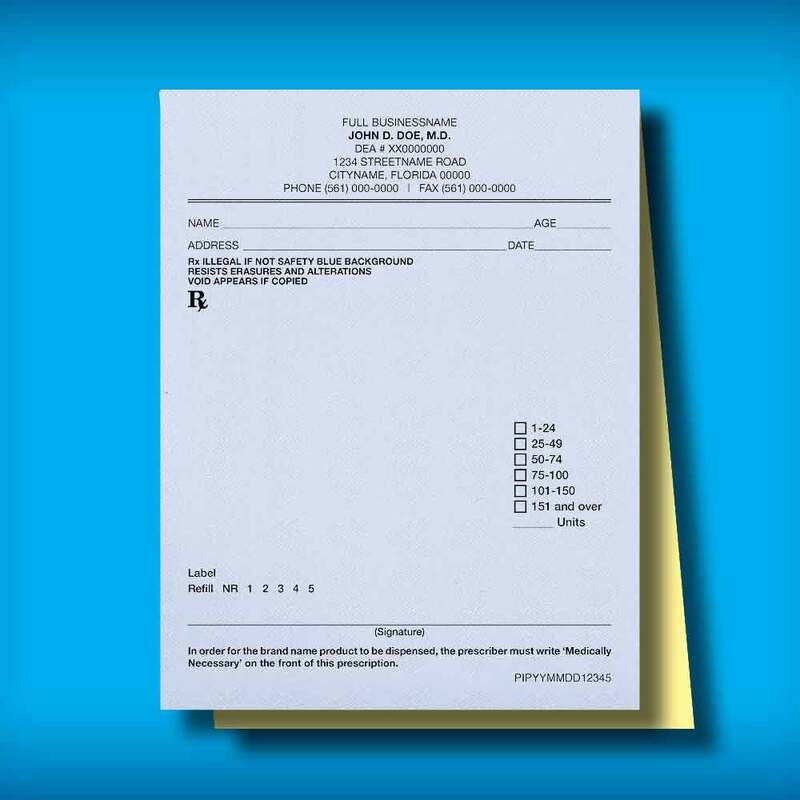 Effective July 1, 2018, section 456.44, Florida Statutes, was amended to require health care practitioners who prescribe controlled substance to indicate directly on the prescription pad if the prescription is for the treatment of pain other than acute paid. 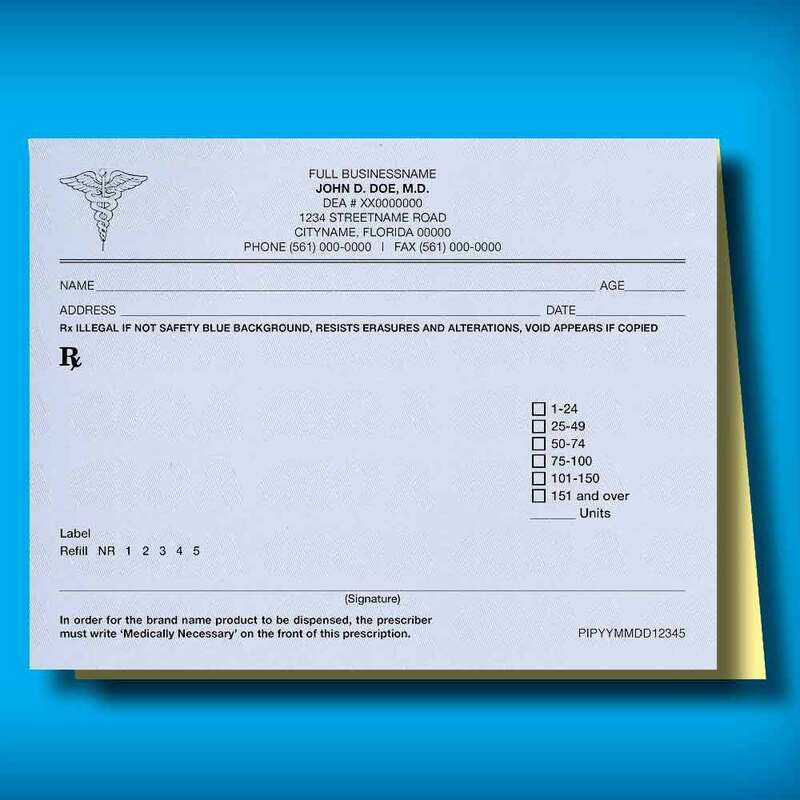 The bill specifically states the prescriber must indicate “NONACUTE PAIN” on a prescription for an opioid drug listed as a Schedule II controlled substance or indicate “ACUTE PAIN EXCEPTION” if the prescription is for the treatment of acute pain with exceptions as specified in section 456.44, Florida Statutes. 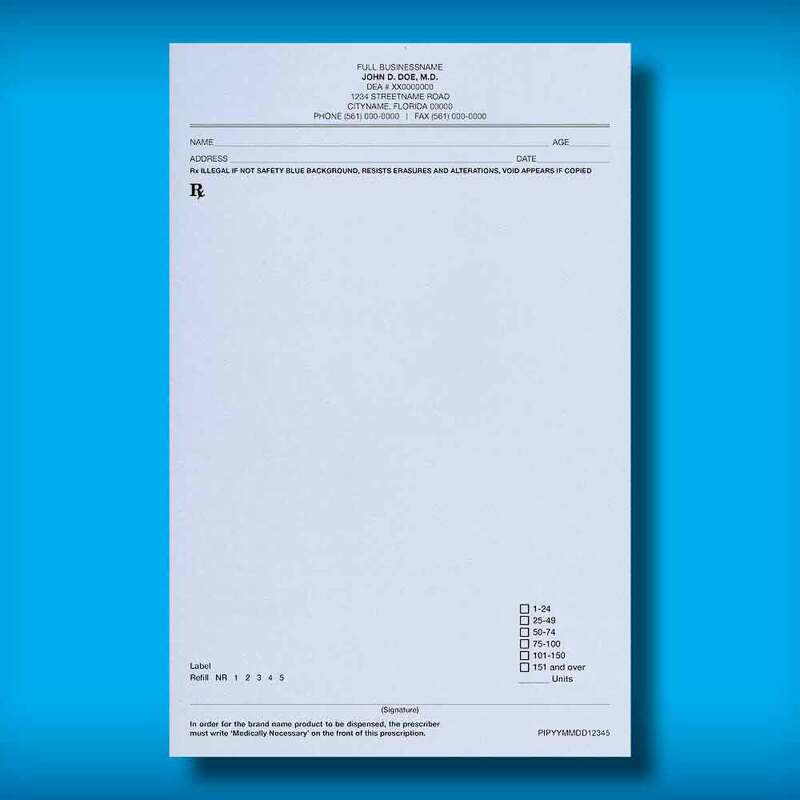 To assist in the implementation of this bill, the State of Florida Department of Health, Division of Medical Health Assurance created a sample prescription pad to include a place for health care practitioners to indicate “NONACUTE PAIN” or “ACUTE PAIN EXCEPTION” when appropriate. 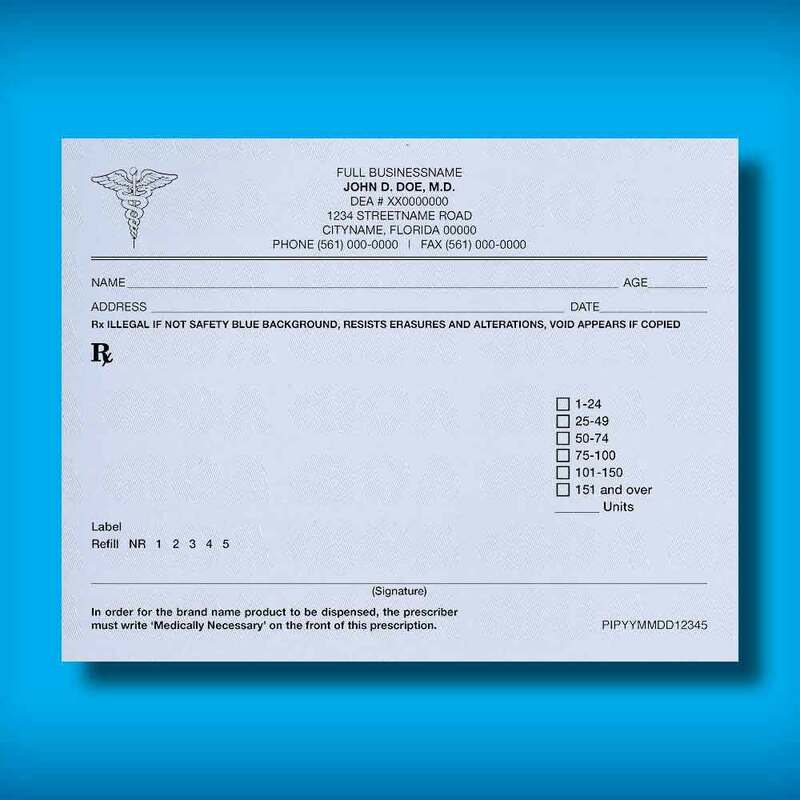 As an approved Counterfeit-Proof Prescription Pad Vendor we are required to add this indicator to new prescription pads produced for health care practitioners who prescribe control substances in Florida. 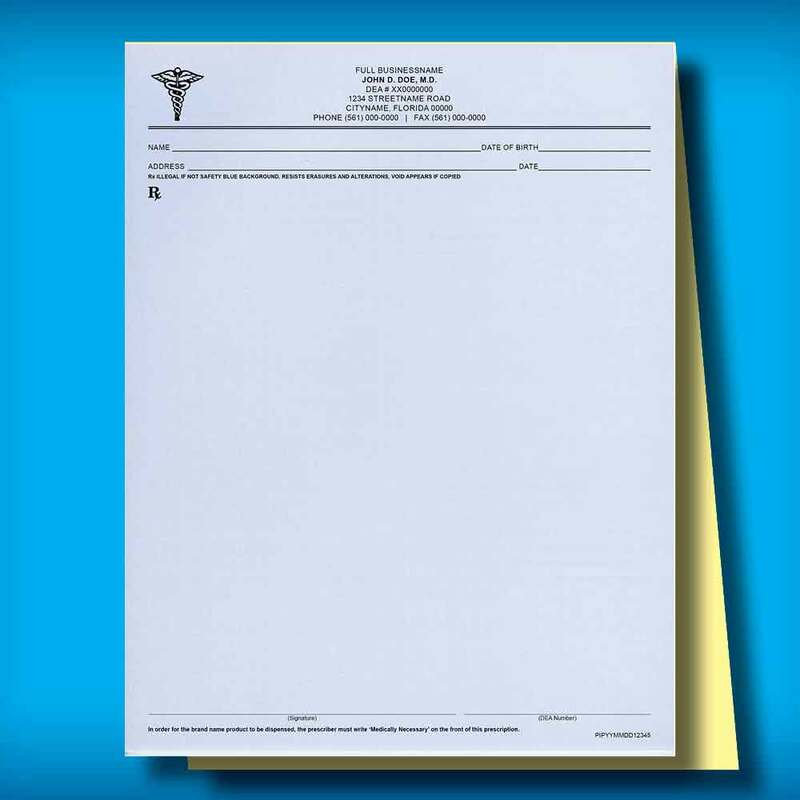 Health care practitioner are not required to destroy prescription pads already purchased. They can hand write the words “NONACUTE PAIN” or “ACUTE PAIN EXCEPTION” directly on the prescription pad until they are ready to reorder.